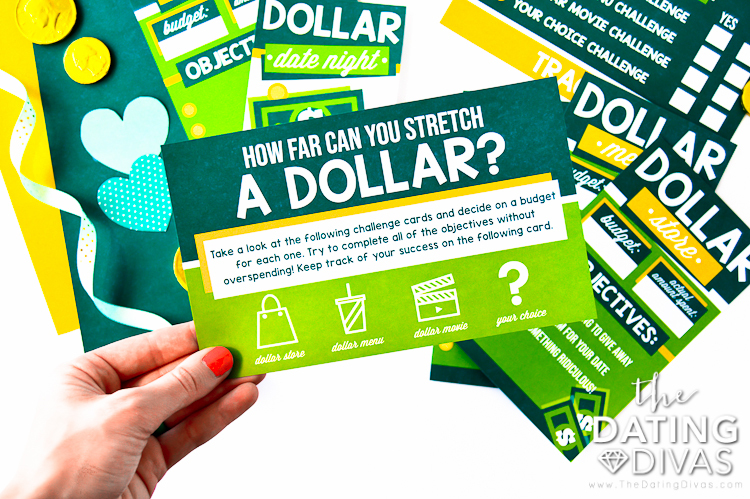 How far can you and your sweetheart stretch a dollar? Find out with this super fun and super budget-friendly date idea that will have you tracking those pennies like never before! 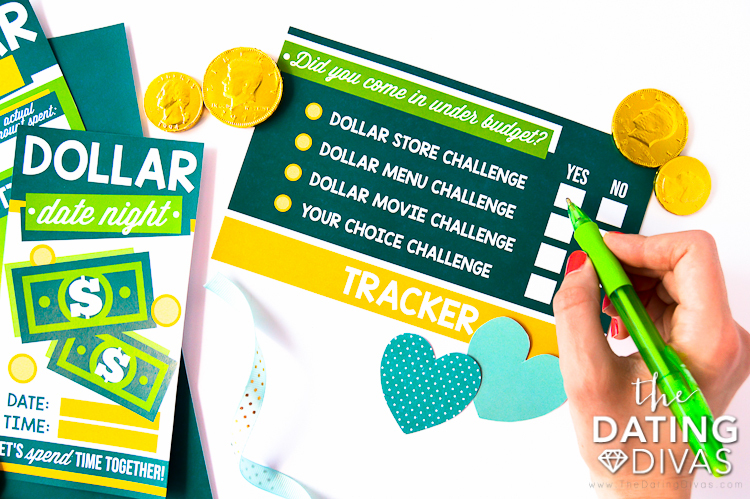 From the Dollar Store to the Dollar Menu, this post is PACKED with cheap date ideas and challenges that are a total blast. The perfect date for when you’re less than enthused about spending a chunk of change, we also promise it’s unlike any you’ve ever been on and is totally one for the books. Ready to take a more detailed look at the deets? Let’s go! Cha-ching! 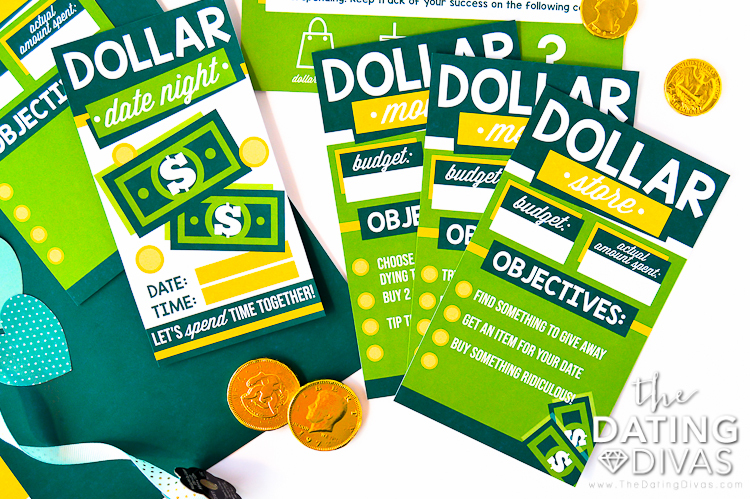 No dollar-themed date would be complete without a little green and these bad boys sure do fit the ‘bill’! 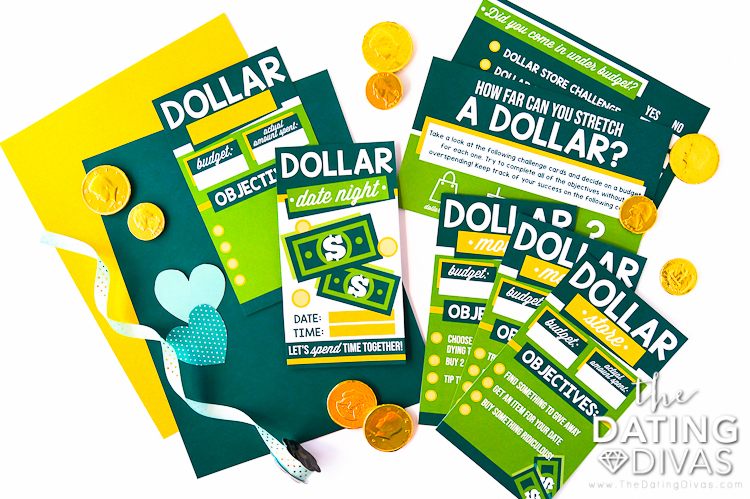 We have to give a huge shoutout to our very own Diva Elizabeth for creating such darling dollar-filled designs as they totally take the date to the next level. 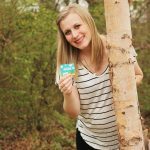 We Divas love our invites as they’re the perfect way to get your honey-bun ready for date night. Let your sweetheart know how much you’re looking forward to ‘spending’ (aren’t we punny?!) a little time with them by slipping this printable invite somewhere they’re sure to find it. You might even want to include a few chocolate coins for added pizazz. Or for the ultra-busy and tech-savvy folk, we’ve included a special surprise; a one-of-a-kind digital invite that you can text to your spouse beforehand. So easy, right? Just scroll on down to the end of this post, download your textable treat, and send away! Next up, a totally unique instruction sheet that will explain the challenges and take your cheap date ideas to the next level. 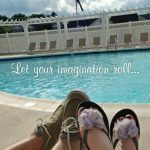 Glance it over with your spouse and get ready to make the magic happen. 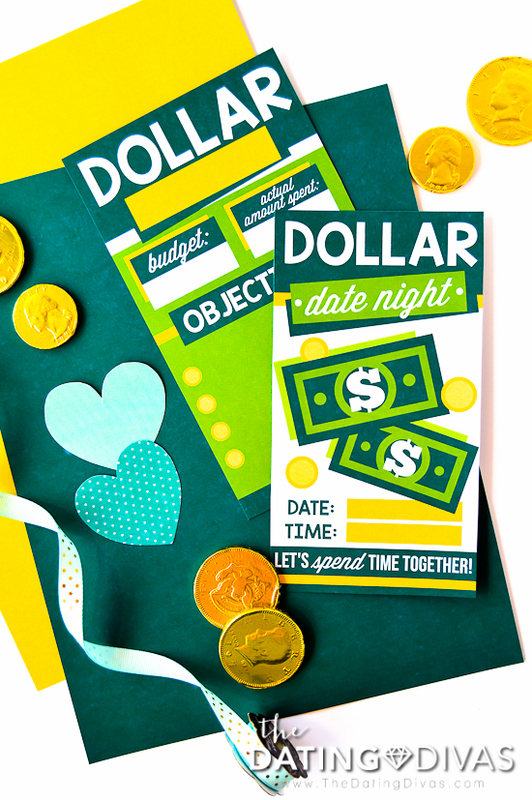 The idea behind this budget-friendly dollar date is to complete one (or several!) challenges that are so dollar-themed, it’s crazy. 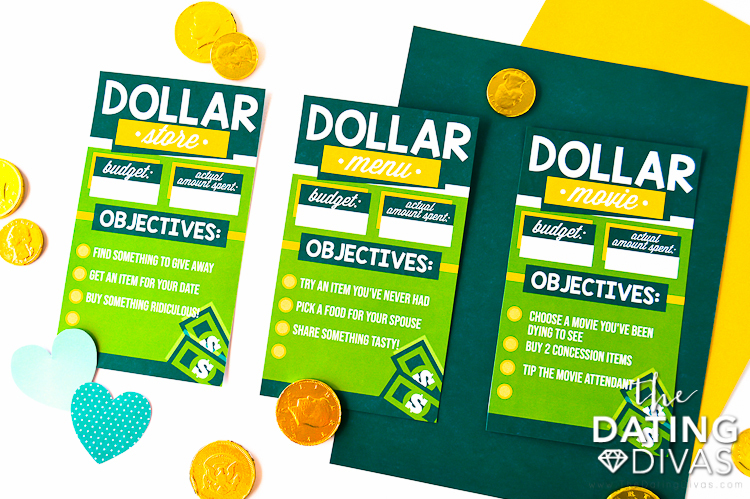 We’ve included challenge cards for the dollar store, dollar movie theater, and dollar menu (cheap dinner ideas=SCORE), but have also included a blank option should you and your sweetie want to create your very own dollar idea. Each card contains a list of objectives (as well as a blank slot to add your own flair) and a few special spaces where you’ll record your budget and actual amount spent. 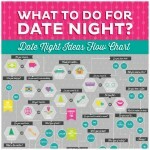 The idea is to spend as little as possible while still totally rocking date night (and those objectives!). Work with your spouse to create a budget for each individual challenge ie. the amount you think you can stay under while still getting those objectives DONE. Pop back in and the end of each challenge to record your actual amount spent, and use your tracker to mark your progress. Did you two come in under budget?! Woot woot! You win! What did we tell you?! Were those some super fabulous cheap date night ideas or what?! We adore this date because it’s not only fresh and funny but will keep even the biggest of big-spenders feeling guilt-free. 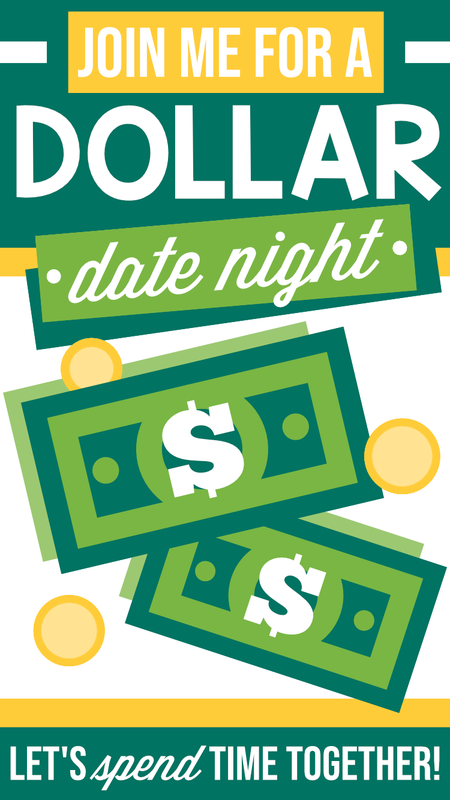 Be sure and give this Dollar Date Night a go the next time you wanna let loose. Your wallet (and marriage!) will thank you. The original version of this date was just too adorable not to include! It’s the same basic concept but with a few extra-special twists. Take a peek! My husband is such a blast to be around. As you will find throughout this date…he has a great sense of humor. He is really spontaneous and has a knack for making the ordinary date hilarious. Without further ado, here is MY hot husband, Adam. I have become a cheapskate lately. Like many people across this country, money is tight and we are on a strict budget…which makes dating a challenge. At the same time, I wanted to have a fun date with my wife that would be memorable despite our small budget for date nights. So what better way to experience some cheap date ideas than by going to the Dollar Store, ordering off the dollar menu, and hitting a dollar movie. Weeeeeee!!!! Something to Give Away – I found Kari some little girl party Tiaras for her to wear during lunch and then give away to our nieces. Then, Kari found me a Jonas Brothers card (‘Cause I’m a HUGE fan…) so I can put a picture of myself in it and send it to my brother in Japan. Something to Use Right Now – We picked out party plates for each other to eat on during lunch. 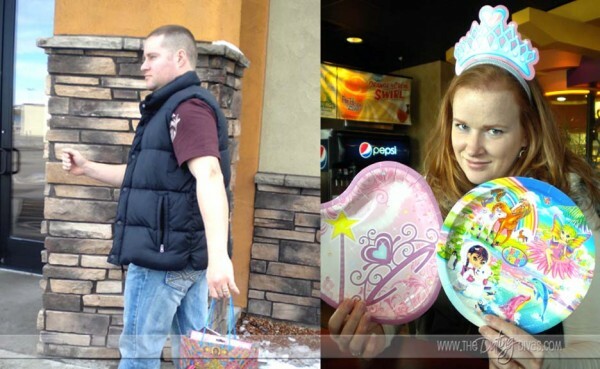 Kari, of course, got princess plates and she picked out these awesome Unicorn Princess plates for me. Oh yeah, I’m also a huge fan of unicorns! Something to Use In The Future – We decided to pick out permanent gift bags for each other that will make their appearance for birthdays, anniversaries, and any other memorable occasion. We picked out the funniest ones that we could find…so for every special occasion, we’ll get to remember all of these cheap date ideas. 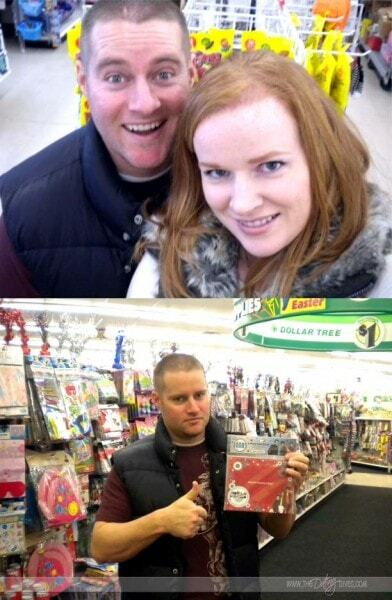 Total cost for Dollar Store items…$6.00. With our gifts in hand (er…really we carried it all in one of the gift bags we purchased), we made our way to three of the finest dollar menu fast food diners in the valley (Pocatello Valley, that is). Conveniently, all three of these diners happen to be right next to each other. Taco Bell, Wendy’s, and McDonald’s offer the highest quality dollar menu products money can buy. Our objective? 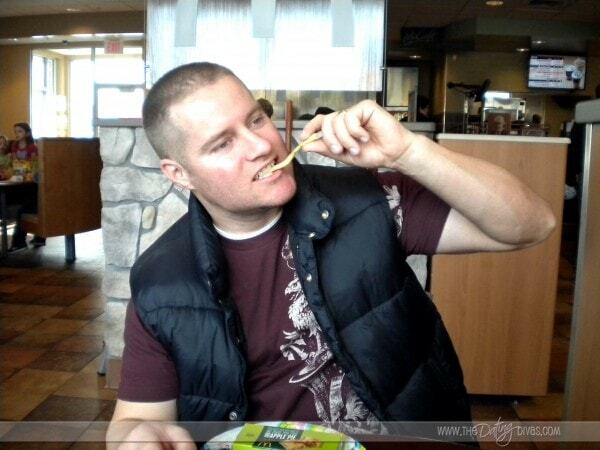 To make good use of our Dollar Store items while having our Dollar Menu lunch. Our budget for each of the three diners is $1.00 each per dollar menu. Total cost for lunch…$6.00. We have to eat our lunch on our party plates at each diner. I will carry all of our Dollar Store items in one of the gift bags, but Kari has to wear one of her Tiaras all through lunch. It just so happened to be the lunchtime rush on a Saturday, which made each place packed to the brim with customers…and considering Pocatello is a really small town…we just so happened to get a lot of stares. Especially from little girls that liked Kari’s Tiara. It was a lot of fun watching each other eat off of our little party plates. Find a dollar movie that we hadn’t already seen. Find a dollar movie that is good. Find a dollar movie that is rated PG-13 with someone who has brought their little children under the age of 5 to it. Just kidding!! Our objective was really just to stay with the Dollar theme so a Dollar Movie sort of fit in perfectly. Even though the above objectives (#1 & #2) really were challenges…#3 really did happen. Total cost for the Dollar Movie…$4.00. Total cost of this date…$16.00. 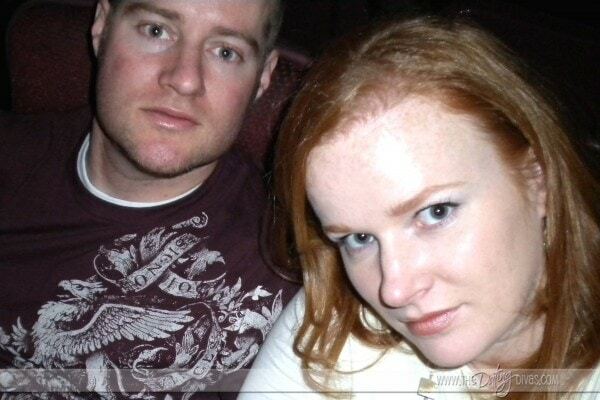 I really had a fun time on this date despite the fact that we spent very little money. We both laughed a lot throughout the whole date. It made the normal dinner and a movie much more memorable,…and we’ve got the gift bags to prove it. 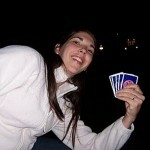 My wife is a good sport and is always willing to try new things. I’m so lucky to have a wife that loves to laugh and is up for going on spontaneous dates with me. There you have it. This man never ceases to amaze me. So guys, take it from me, it really doesn’t take an over the top date to impress your wife. Creating an opportunity where you can laugh together is the best experience for both of you…and ladies, don’t be shy…let your man know that even an “every day” date can easily be made into something fun, memorable, and even cheap! Have some fun with your next date night out! P.S. If you’re looking for the perfect way to end this night in the bedroom… check out our printable Bedroom Value Menu! I am a very outgoing person that loves spending time with my family and friends. I have a thirst for knowledge, I am completely at home in the kitchen, and my biggest passion in life is snow skiing. I've been married to my sweetheart for 15 years and we have 3 children. I also love to travel! Thanks for the fun idea! We just did this and it was a lot of fun. Way better than just dinner and a movie. 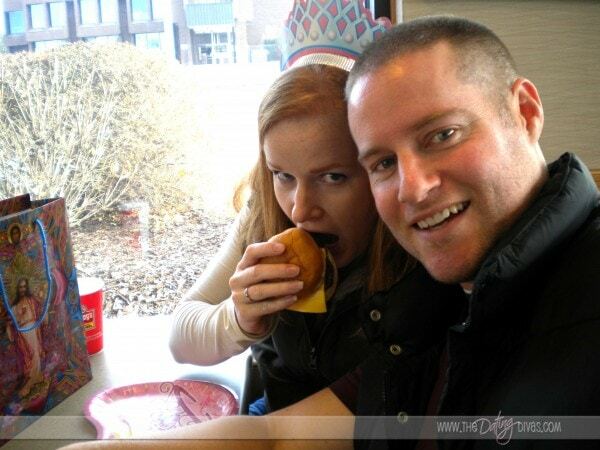 It was weird/ funny eating at three different fast food joints, but we enjoyed the meal! We have been married for 30+ years. I changed the $store guidelines to be three items that remind you of me and be prepared to explain your choices! This was the best part of the evening! He chose candy, because I’m sweet, funny glasses because I’m fun, and a coffee mug that has love, hugs and kisses written all over it, yeah… Because he loves me! I got him very similar items, but included a Superman washcloth because he is my hero! Again thanks! Super fun! Sue, what a darling twist on this date night!! I love how you spun the ideas for the dollar store, too funny! I think we’re going to use your ideas for our next go round on this date. It really is one of my favorites that we’ve ever done. So cheap, but hilarious! You have to be comfortable in your skin to really pull it off, or at least be able to be ridiculous around your spouse so you both wind up with a good laugh at the end. Thanks so much for sharing these ideas, I’m so glad that you two had such fun! I commented in 2014 that we had done this date, with a twist. Anyways, we enjoyed it so much we recently did it again, too. Still one of our favorites! Hi Sue! That is so awesome!! 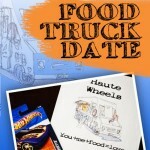 This is hands down one of my favorite dates, too, so I’m so glad you and your spouse love it as well! Thanks for writing in, it’s always great to hear from you!